Sunflower oil 50%, 12% lemongrass, chili 9%, 9% shallot, garlic 8%, 6,5% galangal, ginger 3%, 1% salt, shrimp paste 1,5%. 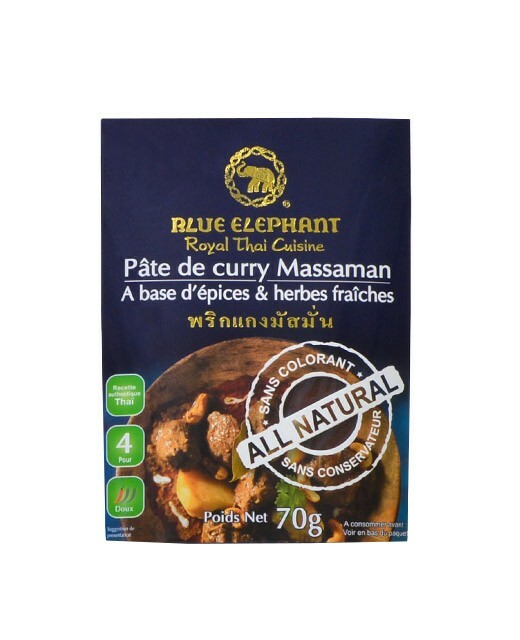 To let express all the flavors of Massaman curry paste, fry this latter in hot oil for 3 minutes before adding the other ingredients. 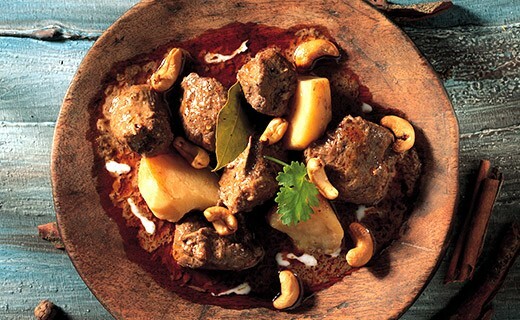 The Massaman curry is ideal with beef, pork and duck. It is a sweet Thai curry in which traditionally adds potatoes.